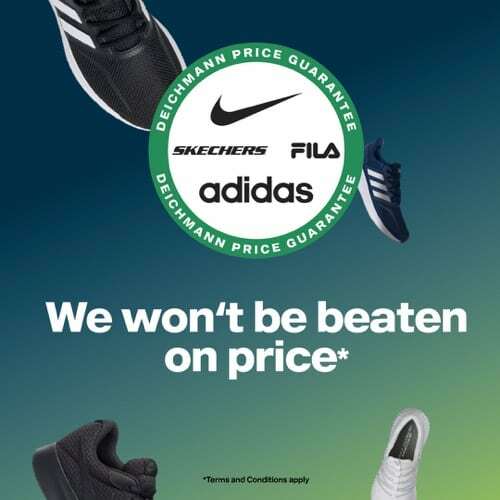 If you find an identical Nike, Addidas, Puma, Fila or Skechers style on sale at any UK high street or online retailer at a cheaper price, Deichmann will price match that style! Terms and conditions apply. Please see in store or online for details.